Playing is an integral part of children’s day in many educational and childcare settings. Children play before the bell goes in the morning; at playtime and lunchtime; and after school ends. Increasingly, playing is part of class time across Scotland too. 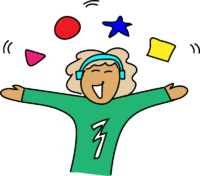 Educators are getting better at recognising the interconnections between playing, learning, growing, developing, being healthy and being happy. 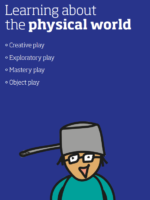 The Play Types Toolkit is intended for schools and education professionals though we are sure people in other settings will also find it useful. The aim is to highlight the range of types of play children experience, their vital contribution to learning and development, and to make integration of play into the curriculum simpler. What do we mean by play types? Play opportunities are generally available to children in Scottish schools at playtimes and lunchtimes, but this may only total 60 minutes of the day and often less if you factor in eating, putting on coats and shoes and lining up. As well as time for play, evidence shows us that the physical environment has a significant impact on children’s play experiences. A stimulating and varied environment which makes playful resources available to children, supports more varied and complex play opportunities indoors and out. This Toolkit will highlight ways to make the integration of play into the curriculum simpler.